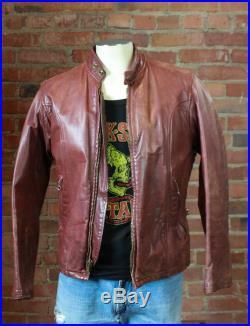 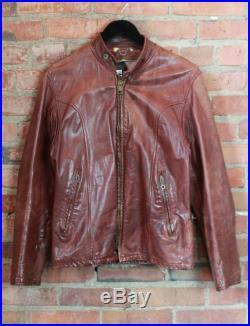 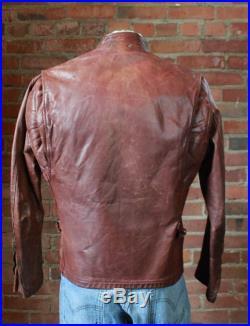 The perfect brown leather schott cafe racer jacket perfectly worn-in and soft leather. 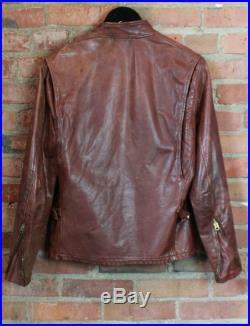 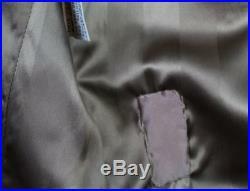 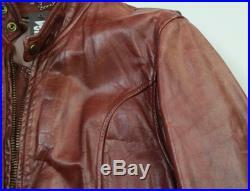 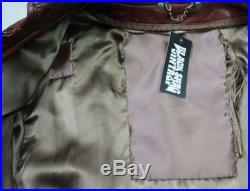 Gorgeous color of brown with minor scuffs from a well-loved jacket. 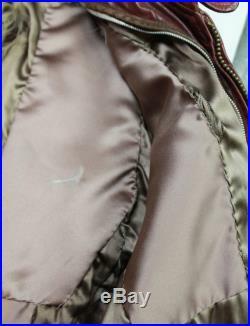 A few areas in satin lining have shown to be mended. 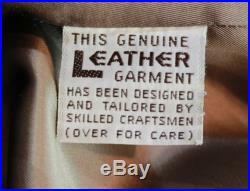 Overall, a badass jacketplease check all photos and measurements as this is a vintage/as is listing. 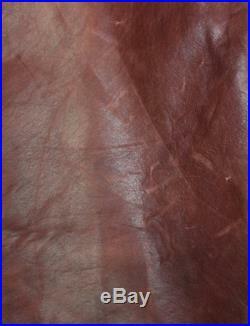 Pit to pit- 20"back collar to bottom- 26"shoulder to shoulder- 17"shoulder to cuff- 24".